Victoria International Ballet Academy provides the best ballet training to students from all over the world, according to the renowned Vaganova syllabus. Our teachers combine a wealth of stage experience in the best ballet companies and their training as ballet instructors at the Vaganova Ballet Academy in St. Petersburg Russia to offer all students interested in achieving excellence in classical dance the most effective system currently found in North America. 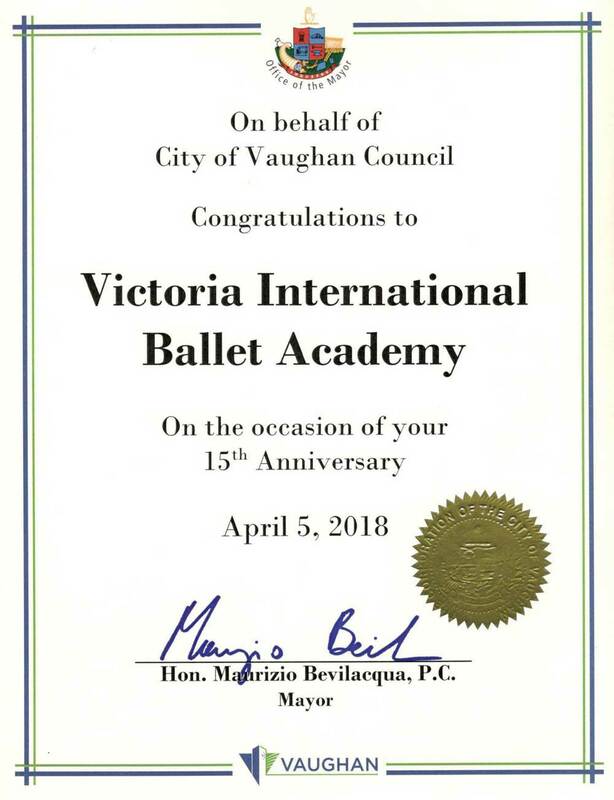 Victoria International Ballet Academy is registered with the Ministry of Education of Ontario under No. 667420 as Arts and Science Academy of Canada. 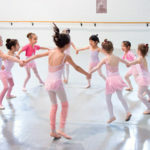 Victoria International Ballet Academy offers an academic program focused on the success and motivation of each student through smaller class sizes and an individual approach to education. The school puts special emphasis on Mathematics and English among other academic subjects while at the same time providing opportunities for creative expression and personal growth. Victoria International Ballet Academy was founded by Ms. Victoria Mironova (Evdokimova), M. Ed. in 2003. Ms. Victoria danced classical ballet for 21 years after graduating from the Vaganova Academy of Russian Ballet (St. Petersburg, Russia). She worked for the Mikhailovsky Opera and Ballet Theatre in St. Petersburg, Russia. In 1995, after 5 years of studies, she graduated from the Teachers Department of the Vaganova Academy majoring in ballet pedagogy and choreography. Victoria Mironova represents the second generation of Russian ballet professors who have mastered the knowledge contained in the world-renowned Vaganova syllabus. She was a student of Natalia Dudinskaya, who was in turn a student of Agrippina Vaganova. In 2004, the ballet academy grew into a full-time day school which combines academic education with professional ballet training. 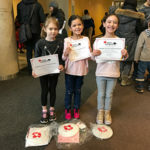 Through the years VIBA has evolved to become one of the best ballet schools for professional dancers offering a comprehensive academic curriculum from kindergarten to Grade 12. Experienced teachers help students develop responsibility, creativity, and resilience – the most important quality for life success.